My build logs, documentations, and research. Updates may be...sporadic. Note: This is a work in progress, which hasn't been touched for some time. v Dava Moor, Cromdale, Morayshire. Presumably in Scotland. May be post period. 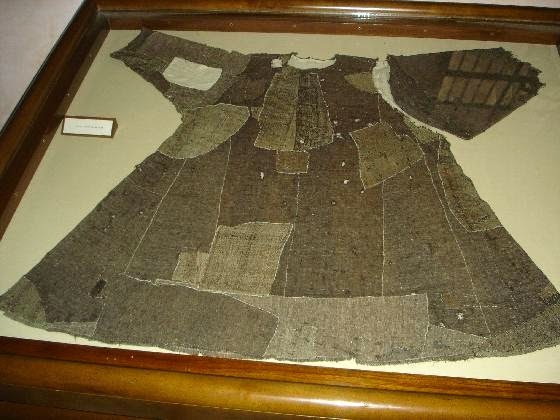 Ø A bog find dating to the 7th century in Germany, it was found at the beginning of the 20th century, and is composed of 45 pieces of different wool fabrics, sewn together in a patchwork. S7. 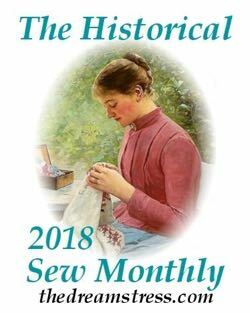 § Personally I don’t believe that it was made as a patchwork to begin with, and is the result of extensive repairs—perhaps over a couple of generations. 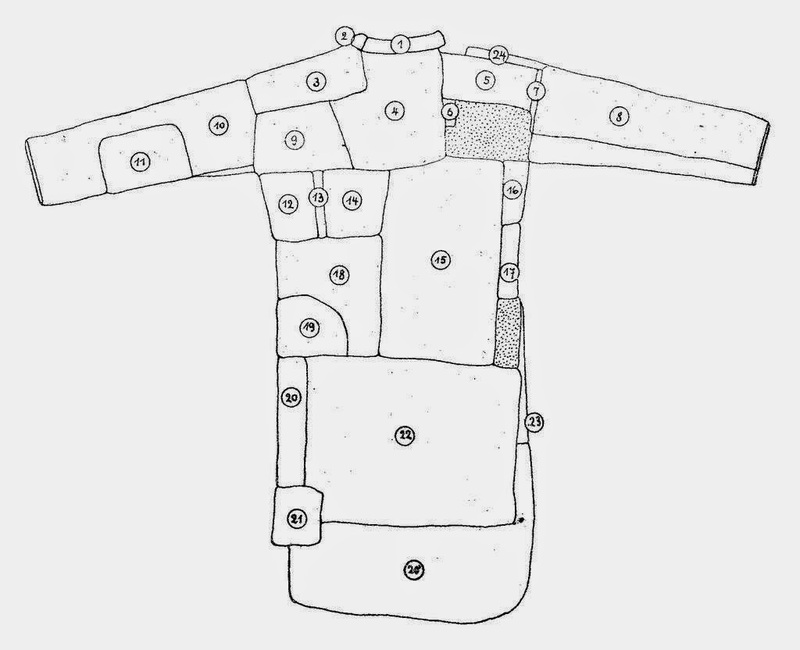 Looking at a colour image of the tunic, I agree with myself--several of the pieces are attached slantwise and are quite obviously layered. 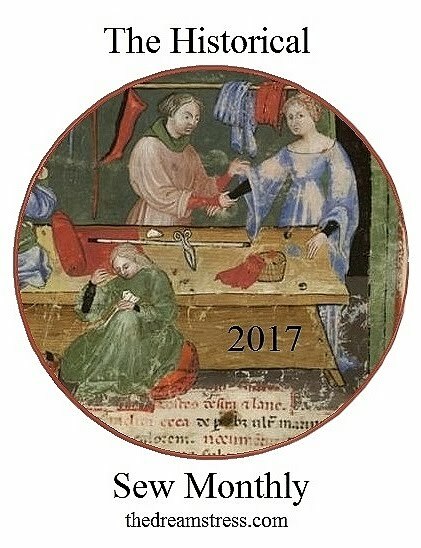 § The second patch is of slightly different material, and sewn using different thread than the first one. 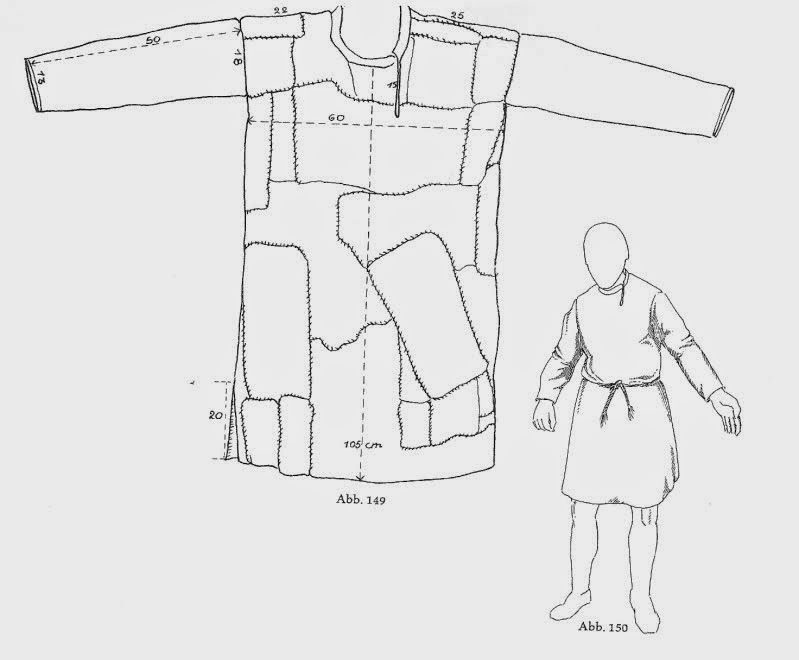 S7) The conservation of an early mediaeval patchwork-style tunic. This is the paper information. Note: This piece is under construction, and will occasionally be updated. 4-16-15: Edited Bernuthsfeld comment. Added Bernuthsfeld and Assisi pictures. © John Frey, 2014. The Author of this work retains full copyright for this material. Permission is granted to make and distribute verbatim copies of this document for non-commercial private research or educational purposes provided the copyright notice and this permission notice are preserved on all copies. 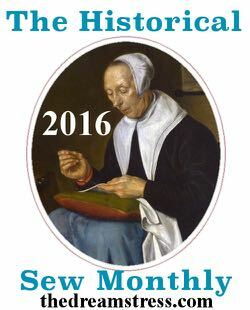 Doublets and Spiderwebs: A brief tutorial on 16th Century Thread Wrapped Buttons. ©2014 Content in all forms, & photographs may not be used for commercial purposes or or duplicated. Watermark theme. Theme images by bopshops. Powered by Blogger.